Cristiano Ronaldo and Manchester will cross their paths once again, but this time it's a ticket for the UEFA Champions League final that will be at stake. As Real Madrid and Manchester City prepare themselves for what promises to be an exciting semifinal, no other player will get more spotlight than Ronaldo. After his match-winning display against Wolfsburg in the Champions League quarter-final second leg, Cristiano Ronaldo is set to return to Manchester. After losing the first leg 2-0, Madrid needed some heroics from their star player, and he did not disappoint. With the odds in Wolfsburg's favour, what was my number one football betting tip? Ronaldo to score a hat-trick at 10/1. The Bernabéu was due another special night, and there is a feeling that this could be Cristiano Ronaldo's season. CR7 scored two goals within 17 minutes to level the score, putting his side back in the ascendancy on home soil. The fans were made to wait until the 77th minute before Real Madrid found the pivotal third goal, which sent them through to the semi-final. Who got the goal? You guessed it right... It was Cristiano Ronaldo who completed his 37th hat-trick for Real Madrid. The betting guides are now all backing the Merengues reach the final, where they could face either Bayern Munich or Atletico Madrid. Ronaldo continued his stunning form in the Champions League, which has seen him score 16 goals already in Europe this season. That is double the amount of goals of the next best in the football competition with Luis Suarez, Thomas Muller, and Robert Lewandowski all tied on eight goals. The Portuguese superstar continues to break records and looks destined to be the first player to score 100 goals in the competition. Ronaldo is the competition's all-time leading scorer with 93 goals, 10 more than Lionel Messi in second place. With three games potentially to play for Ronaldo in this season's competition, it is not unthinkable that he could achieve that by the end of the campaign. 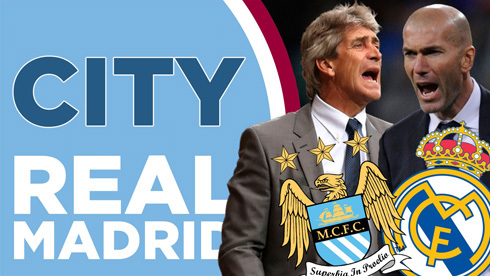 The semi-final has seen Real Madrid drawn against former Premier League champions Manchester City. Ronaldo will be keen to put an end to City's Champions League hopes, and will have fond memories of playing against them as a Manchester United player. The Portuguese star will still have that same desire to beat Manchester City, as he would if he was in the colours of Man United. Ronaldo remains loyal to the club that turned him into a superstar and he will want to win that game for them as well. The tie adds an extra incentive for the biggest superstar left in the tournament. Manchester City though, will be a much better opponent than they were in Ronaldo's Premier League days. The club have invested heavily, and they have shown how strong they are as a team against PSG in the quarter-finals. Real Madrid: Navas, Marcelo (Arbeloa, 67), Ramos (Nacho, 65), Pepe (Varane, 46), Carvajal (Danilo, 46), Kroos (Vazquez, 65), Modric (Casemiro, 46), Ronaldo (Lucas Silva, 65), Isco (Llorente, 77), Bale (Cheryshev, 65), Benzema (Jese, 46). Manchester City: Hart, Sagna, Denayer, Humphreys, Kolarov (Clichy, 65), Toure (Zuculini, 65), Fernando, Delph (Navas 21, Roberts 81), Silva (Kelechi, 65), Sterling (Dzeko 65), Nasri (Lopes, 65). So we can see from this that Madrid put out their best available squad, with City also putting out a reasonably strong squad. The notable absentees from City were Sergio Aguero, Kevin De Bruyne, Nicolas Otamendi and Vincent Kompany. That is essentially City's spine these days, so we can expect to see City offer a much sterner test this time around. As well as that, we have to take into consideration that this was a pre-season game. The competitive edge is missing, and players were not yet up to full fitness. City progressed to the knockout stages via a group consisting of Juventus, Borussia Monchengladbach, and Sevilla. Highlights of their group campaign were home and away victories against Sevilla and Borussia Monchengladbach. Pellegrini's team did struggle to step up to the mark against Juventus, losing both their games against last season's finalists. At the age of 31, Ronaldo will be keen to leave a lasting legacy in the game. There are still no signs of Ronaldo slowing, his goals return is still the best in the world, and his performances are just as exhilarating. Incredibly, Cristiano Ronaldo has played every minute of Real Madrid's La Liga campaign this season. He is the only outfield player in the league to have not missed a single minute. Knowing Cristiano, I do not expect to see him being substituted in any of the remaining games this season, in all competitions. Ronaldo is a born winner and wants to be the focal point of everything that Madrid do. The final 16 saw Manchester City make light work of Dynamo Kiev, winning 3-1 on aggregate. The tie was pretty much settled in Kiev, where City came away with a 3-1 victory. The second game was less emphatic with, the Pelegrini's men happy to take a 0-0 draw and seal their progression. In the quarter-final, Man City played their part in a memorable encounter with Paris Saint-Germain. The bookmakers had the French outfit down as strong favorites, but City produced an upset. Kevin De Bruyne had a massive influence on both legs, opening the scoring in France. That game produced four goals, with City snatching a 2-2 draw to take back to England, as well as two crucial away goals. At the Etihad the job could not have been clearer for City, do not concede. Otamendi played a blinder at the back, as City shut out Ibrahimovic and company for 90 minutes. The game was settled in the 77th minute, when City's record signing Kevin De Bruyne fired home a 20-yard strike. Real Madrid progressed in a group formed with Shakhtar Donetsk, Malmo, and PSG. Madrid won the group and faced Roma in the final 16. The moved on with a comfortable 4-0 aggregate victory, with Ronaldo opening the scoring in both games. The quarter-finals turned out to be a bigger test than first anticipated, with Madrid shocked at the Volkswagen Arena in the first leg. Madrid were beaten 2-0 by Wolfsburg and seemingly heading out of the Champions League. Everything was riding on a big performance in the reverse leg at the Bernabéu. 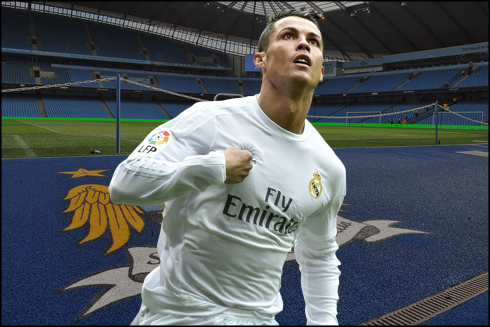 As we touched upon earlier, Ronaldo came to the rescue with a hat-trick to send Los Blancos through to the semis. Up to now, Ronaldo has played 2970 minutes in La Liga, with 450 minutes remaining in the league. CR7 has also played 899 minutes in the Champions League this season, with another 300 minutes to be potentially played should Madrid make the final and go to extra time. Ronaldo is the complete footballer and his fitness at no stage in his career has ever been brought into question. I fully expect Ronaldo to play every minute he can for Real this season and hopefully look to lead them to a La Liga and Champions League double. Cristiano Ronaldo next game with Real Madrid for La Liga is on April 20 of 2016, against Villarreal. You can watch Juventus live stream, Real Madrid vs Villarreal, Deportivo vs Barcelona, Manchester United vs Crystal Palace, West Ham vs Watford, and Liverpool vs Everton, all matches provided from our sports streaming game pages.